The Kamiraku shiatsu massage will lead you to a ‘disconnection mode’ and take you to Japan without travelling to the Country of the Rising Sun. This manual-pressure technique exerts a liberating action on the organism and helps you balance your normal activities. Shiatsu massage is a Japanese-origin technique performed with specific pressure movements, exerted with the thumbs and the palms of the hands on those acupuncture points defined by traditional Chinese medicine. These points are located in invisible pathways called ‘meridians’ through which vital energy flows. When these pathways are blocked, imbalances happen. The manipulation of those points where energy is ‘stuck’ will balance the body again. Combined with the deep abdominal respiration that accompanies relaxation, the shiatsu massage balances the nervous system and helps us release tensions, causing a feeling of total well-being. How is a shiatsu session? Relaxed atmosphere, soft music if desired… Lying on an exclusive Kamiraku massage table, wider and more comfortable than usual, and dressed with loose cotton clothes provided by the center, you start to feel the movements of the therapists that applies the shiatsu massage, trying to find the specific energy blockages your body transmits her. After that previous diagnosis, shiatsu massage, one of the softest oriental massages, will be applied in a comprehensive way all over the body and more precisely on the blocked places, making it possible to restore the energy flow through the pathways that run throughout your body. Shiatsu massage is pleasant and enjoyable and can be a very efficient complementary therapy for many health issues, from backaches, headaches, migraine and joint stiffness to insomnia, stress, depression and anxiety. 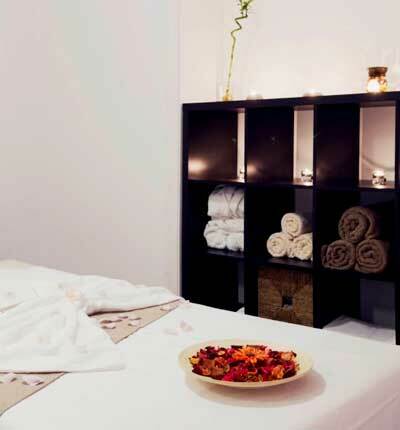 Do you prefer a massage with a higher sensorial perception, with the therapist’s hands acting directly on your skin? We recommend the Lomi-Lomi massage, the energetic-though-soft Hawaiian massage technique performed with forearms and elbows.